Anyone at all serious about digital photography knows that the megapixel arms race vendors are caught up in is meaningless unless the electronics are backed up by a decent lens. As true as that is, it's still not stopping the manufacturers from announcing ever-larger numbers to append to their camera specs, a trend that's escalating in the field of cameraphones as well. 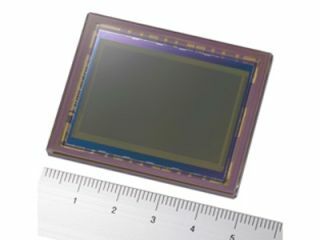 The latest big number for phones comes from Sony Japan, which has just announced a 12.25-megapixel CMOS sensor specifically made for phones. From March next year it'll be available for ¥2,500 (£17.60) to any phone company seeking a leg up, along with smaller 8.1- and 5.1-megapixel siblings. The SCH-B600 is accompanied by a separate auto-focus lens that we're sure is as good as any other tiny lens, but we're still left wondering what the point is of all this resolution envy. Let us know if you find out, ok?